It is with great sadness that I inform everyone that our founder, Dr. Gerald W. Perritt, passed away this past month. Not only was Dr. Perritt my teacher and mentor, he was a dear friend. Dr. Perritt taught me many things about life and certainly investments. His first lesson and used often was to always investigate before you invest. Given the cur-rent environment, I am often reminded of another one of Dr. Perritt’s lessons: Don’t Fight the Fed! 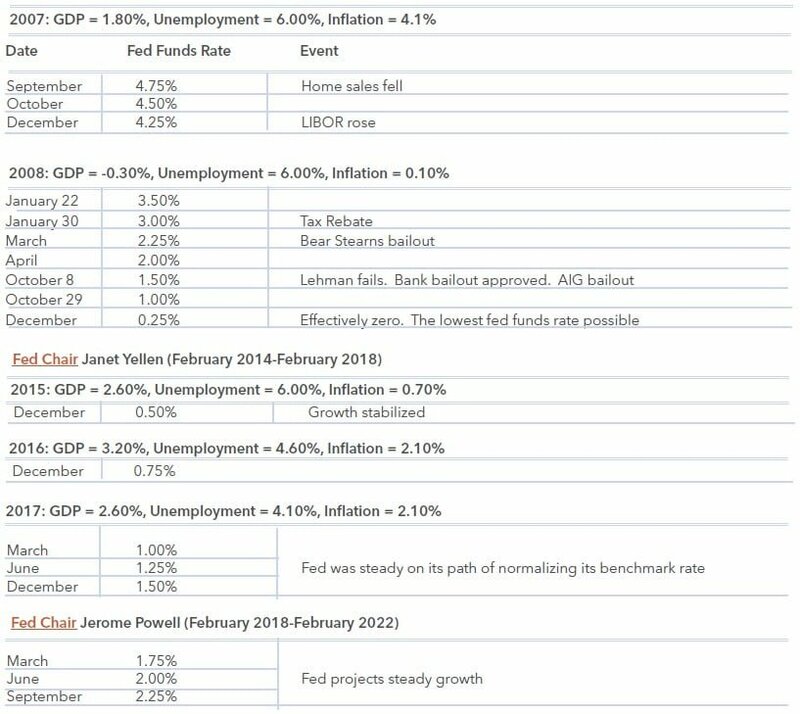 The Federal Reserve has three key objectives for monetary policy: maximizing employment, stabilizing prices and moderating long-term interest rates. Regardless of what many observers may say, the Fed generally is not concerned about increased stock market volatility. 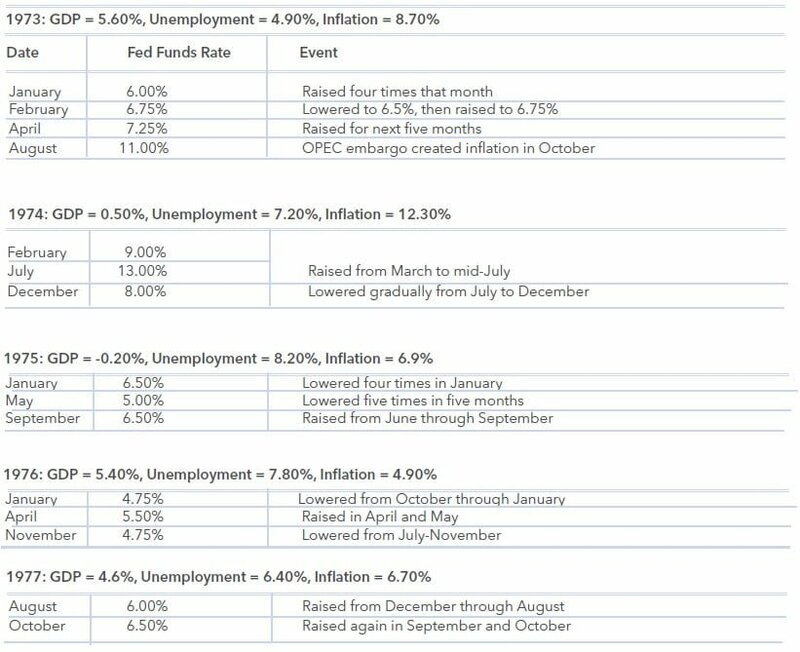 The Fed is more concerned about their mandate and the economy. While it can be argued that inflation does appear to be a threat, there are also signs of only a modest uptick in inflation. 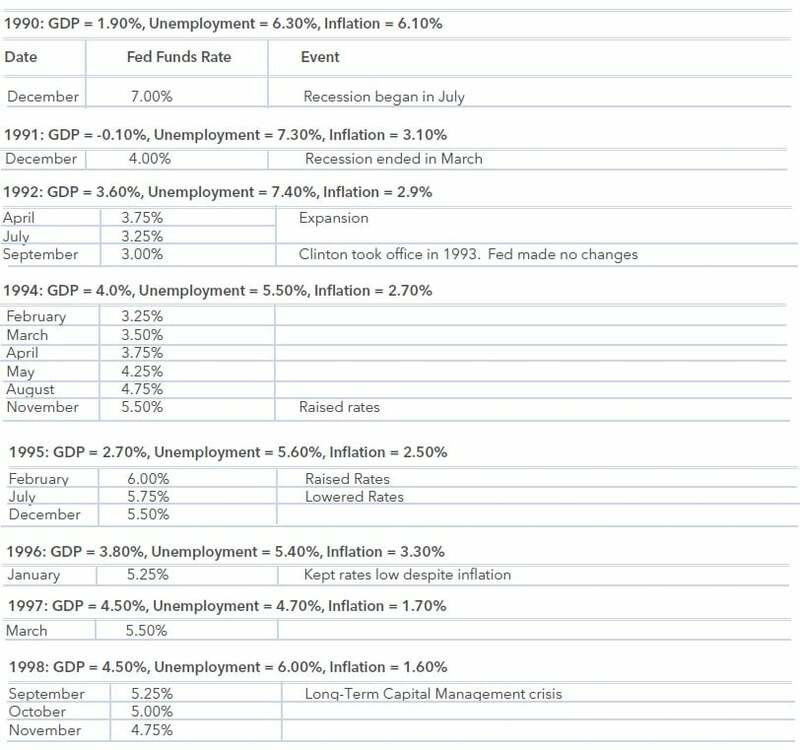 To us, the bottom line is the Fed is moving to get interest rates to a normal level, which is a perception problem. Since interest rates have been exceptionally low for nearly 10 years, we believe many investors think we are already at a normal range for interest rates. Again as Dr. Perritt always reminded me, it is always a great idea to use history as a guide. 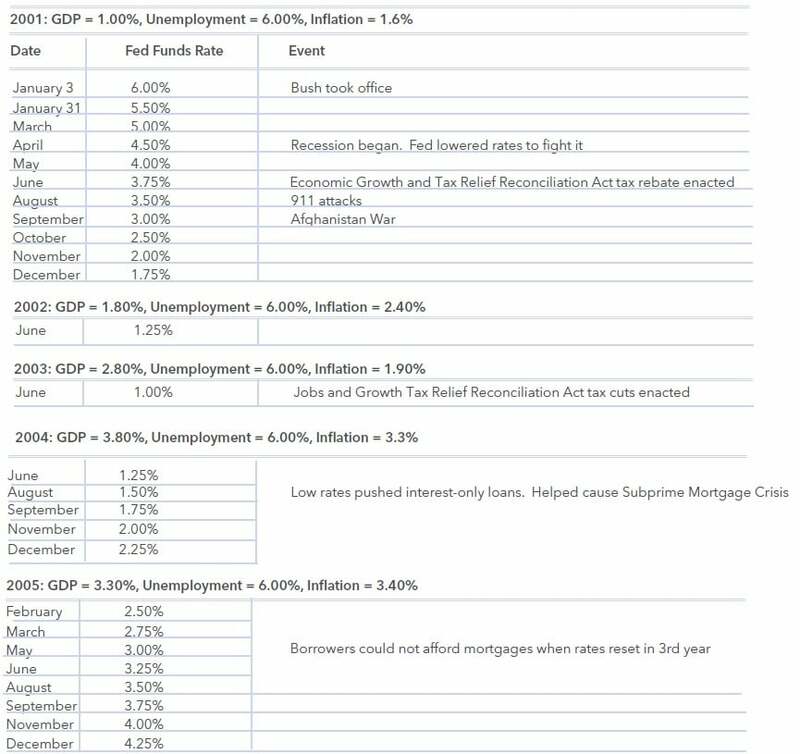 So, let’s review history for interest rates. 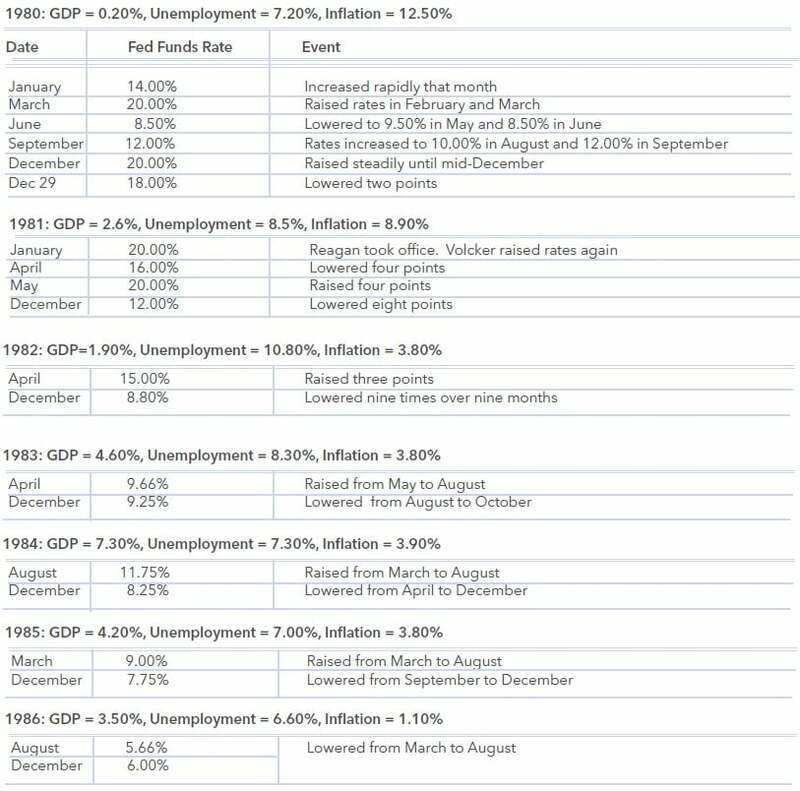 The tables below show the real history of the economy and interest rate policy. You can draw your own conclusion, but we believe interest rates still need to be higher to reach a normal interest rate policy. “We are sad to report the loss of our founder, friend, teacher and mentor. Dr. Perritt was a pioneer in the mutual fund industry. He was one of the first in the industry to track performance and industry dynamics, and to champion mutual funds as an investment option. He launched The Mutual Fund Letter in 1981, a monthly newsletter tracking the mutual fund industry. Dr. Perritt’s flagship newsletter was Investment Horizons where he recommended micro-cap stocks. He also created the Perritt MicroCap Opportunities Fund, one of the first micro-cap mutual funds, in 1988,” stated Michael Corbett, the current CEO of Perritt Capital Management. Dr. Perritt was a prolific writer, sharing his insights and expertise through newsletters and several books. including Small Stocks, Big Profits, Mutual Funds Made Easy, and Expanding Your Investment Horizons. He was also a columnist for Forbes Magazine. Dr. Perritt was frequently quoted in such publications as the Wall Street Journal and Barron’s Magazine. He was always generous to share his wisdom, knowledge and experience with his staff, grooming successful investors. Teaching was a passion for Dr. Perritt. He taught and mentored many throughout his illustrious career. He served as a professor at several prestigious universities, including Ball State University, Babson College, University of Miami and DePaul University. 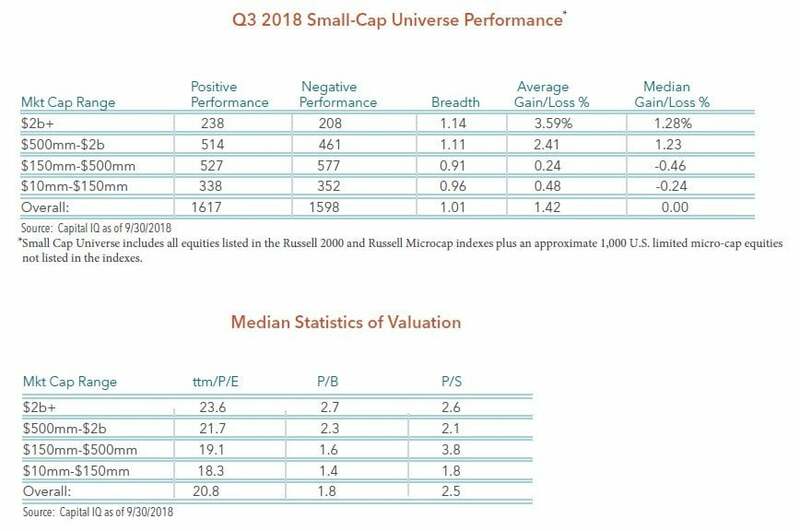 The long-term capital gains distribution in the Perritt MicroCap Opportunities Fund (PRCGX) will be approximately 12%, roughly 6% in the Perritt Ultra MicroCap Fund (PREOX), and about 5% in the Perritt Low Priced Stock Fund (PLOWX). Any income or short term gains in our Funds will be paid on 12/27/18 to shareholders of record on 12/26/18. Distribution figures and distribution dates are estimates only and are subject to change. Actual distributions may be substantially different (higher or lower) or may not be distributed at all. 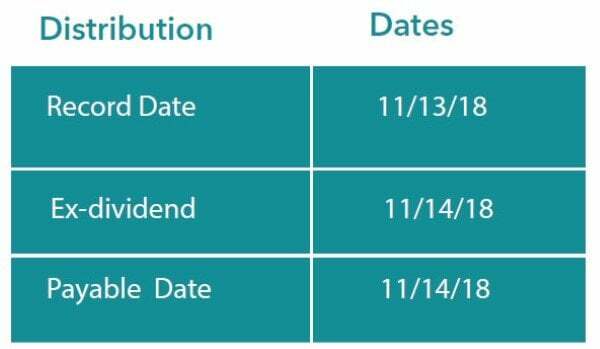 Actual distributions on a dollar per share basis will be available on or after 11/14/2018. Please visit our website at www.perrittcap.com/index.php or call 1-800-331-8936 for more information. Thank you for your investment and trust in the Perritt Team.